Antonio Conte’s time as Chelsea manager looks like it could be nearing an end following reports he has been sacked. 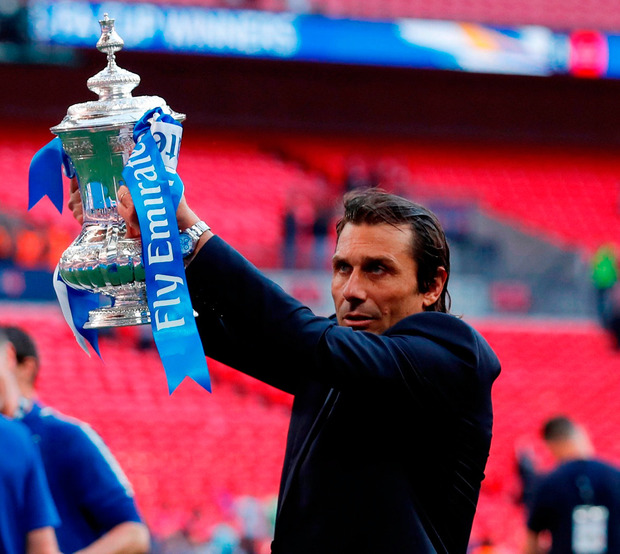 The 48-year-old Italian has a year remaining on his contract, but left the Blues yesterday, according to Sky Italia. Chelsea refused to comment. The rumoured departure comes 54 days after Chelsea lifted the 2017-18 FA Cup – and with the Italian having taken pre-season training earlier this week. He had done little to hide his dissent over Chelsea’s transfer business in the summer of 2017 and winter of 2017-18, making thinly-veiled criticisms of “the club”. There were also reports of friction with the players. Playmaker Cesc Fabregas ‘liked’ a message welcoming Conte’s departure on Twitter, later apologising and suggesting he had pressed the button in error. With two trophies, Conte’s spell as boss will likely be considered a success. Chelsea beat Manchester United on May 19 for Conte’s second trophy of the spell, after which he said he was a “serial winner” who “can’t change”, citing his contract as he answered speculation it would be his final match in charge. A fifth-placed finish in the Premier League, missing out on Champions League qualification and ending the season 30 points behind winners Manchester City did little to strengthen Conte’s argument to stay on. If the reports prove to be true, Chelsea would be looking for a 13th permanent boss of Roman Abramovich’s ownership, which began in June 2003. There is a strong argument that this is the most turbulent time of Abramovich’s ownership. The Russian’s visa issues, the indefinite halting of plans to rebuild Stamford Bridge and the challenge for consistent on-field success all point to difficult times ahead. Chelsea’s first game of pre-season match is the July 23 friendly with Perth Glory in Western Australia. And the Blues could have a new boss and a new midfielder by then. 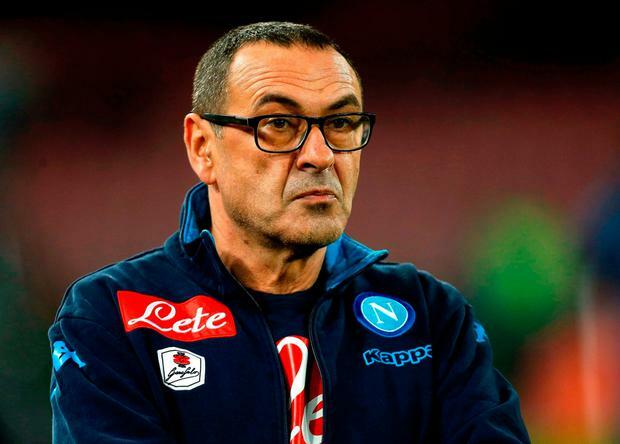 Napoli president Aurelio De Laurentiis on Wednesday said “the Sarri affair is nearly at its conclusion”, alluding to the likelihood of the 59-year-old moving to Stamford Bridge.